Human beings have always wanted to experience the world without having to fear the risks; there is no surprise that simulation games have gained in popularity very quickly over the years. Some are very complex; others are quite simplistic in their design. A few aren’t even set in the present day, and venture into the past or the future. In other words, there is not one simulation game for everyone, and finding the best for one specific individual may be a little difficult. So, what exactly is a simulation game? Throughout time, many have tried to come up with a decent definition, but very few actually managed to explain every aspect of a simulation game, and why they attract so many players. Our professional article will shed some light on the matter. If you are new to this genre and have no idea where to start, you should first dive in our detailed beginner’s guide for simulation games. It contains everything a novice needs to know about them. It is widely accepted that boys are more into video games, and most video games do target this part of the market. However, there are quite a lot of simulation games out there tuned specifically for girls. Take a look at a few examples. Medieval strongholds and fortresses have always sparked our imagination. No wonder there are so many castle simulation games out there, each trying to make their own name in a very competitive environment. Here you can have a look at the best five castle simulation games. If you think you have the skills and the vision to run a successful business and yet you did not have the chance of doing so in the real life, consider practicing a bit with business simulation games; our list covers the best of them, so just pick one and get started. The Tycoon games collection is the most popular series of simulation games. Everybody who ever touched the internet or a computer must have heard about these series. Most of the games are of decent design and philosophy, but these ten stand out. Yes, there are some of these out there as well. One of the most successful series when it comes to zoo simulations is the Zoo Tycoon series. Want more details? Our guide has it all covered. Real Estate Empire 2 is a great little casual game for those who do not have the time to spend hours in front of the computer. It offers a pleasant game play balance with lots of hidden aspects to explore. Sims Medieval is the perfect game for those who want to experience the life of the Middle Ages. It is a standalone game in the Sims series, and is in no way related to Sims 3 or any of its predecessors. See how it measures up against Sims 3 and the others. If you’ve ever wanted to be Mayor of your own city, this is the game for you. Part of the SimCity series, this edition has new features, better graphics and improved game play. For Sims fans, this is a must have. If you are unsure whether you should buy it or not, take a good look at our review. It will answer all of your questions. 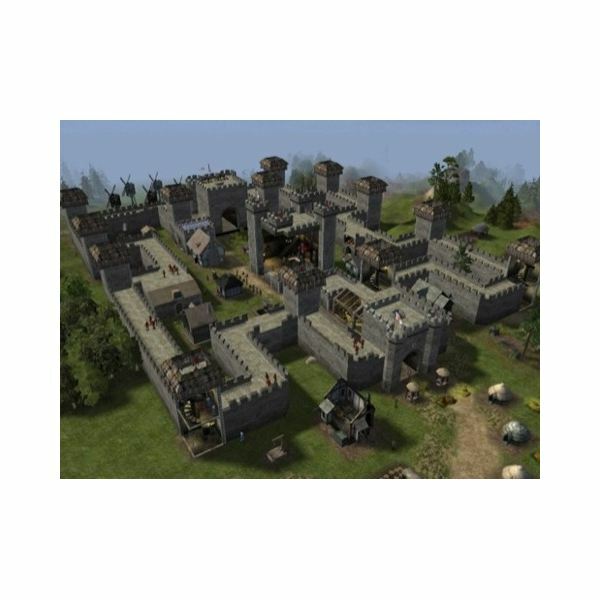 Stronghold is a successful merger of both real-time strategy and simulation games. If you are looking for some RTS action while still keeping the aspects of life simulation, Stronghold is just the game for your needs. Casino Empire is a management simulation game based around running a Casino in Las Vegas. It offers lightweight and uncomplicated fun, perfect for casual gamers. The player has lots of game play opportunities and his mission is to raise a new empire in the world of casinos. Want more details? Have a look at our detailed review. A perfect game for families to play together; The goal of this game is to build and manage your own city, starting from just a few houses scattered across the plains, and developing into a thriving society. Due to the overwhelming number of possibilities in this game, it is advised to use a guide…such as ours. Microsoft Train Simulation was at first an engineering application, used to simulate railways and how they behave in certain conditions. However, it soon went from a “simple” scientific simulation to a game train enthusiasts look forward upon. This is among the few games that actually simulate the process of driving a train locomotive. Once again, Microsoft took the entire market in one, swift and decisive move. Airplane simulations are probably the rarest breed of simulation games; however, Microsoft did an outstanding job at creating one of the best flight simulators for home users.